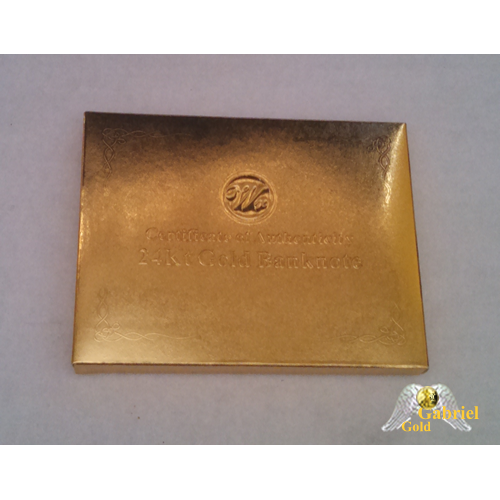 This item is a Gabriel Gold certified 24k Gold 1933 $1000 American Banknote. 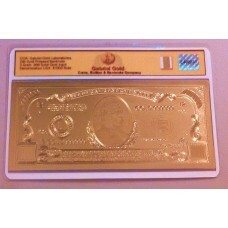 This banknote also includes a 3 Grain .999 Gold Ingot. 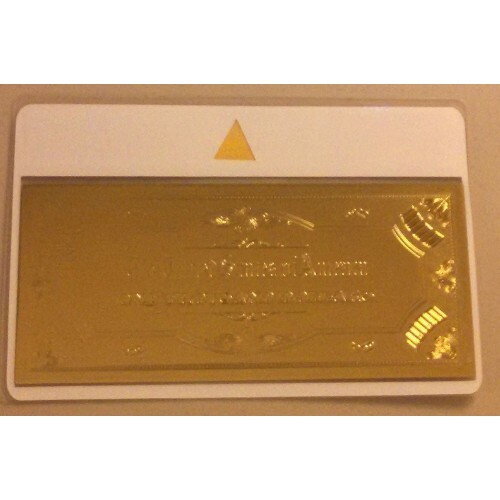 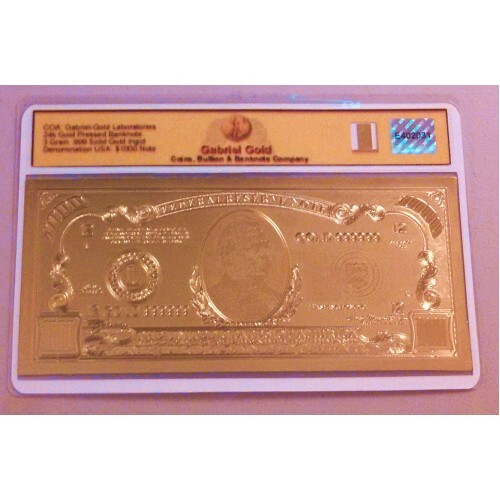 This note also includes a verifiable serial number and can be purchased with an gold gift box.